LeRon Ellis was a smooth moving center with a nice shooting touch, and solid defensive skills. Ellis was high recruited out of high school, and played his freshman and sophomore years at the University of Kentucky. Ellis was a blossoming star at Kentucky, averaging 16.0 points per game his sophomore season along with 5.5 rebounds. When the Kentucky basketball team was placed on probation, Ellis was permitted to transfer to another Division I school without having to sit out a season. 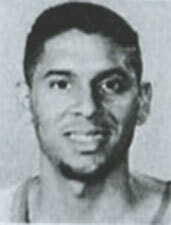 Ellis was a high school teammate of Mike Hopkins, and the son of NBA star LeRoy Ellis. The high profile of Syracuse University plus the connection with Hopkins, convinced Ellis to come to Syracuse. Ellis first year at Syracuse he took a back seat to seniors Derrick Coleman and Stephen Thompson, and super-soph Billy Owens. He also developed a reputation for not being a hard worker in practice, which cost him playing time. He had several off the court hobbies, including being an avid jazz musician. Ellis would score 1,179 points in his college career between the two schools, 548 at Syracuse and 631 at Kentucky. He was drafted in the first round of the 1991 NBA draft by the Los Angeles Clippers, the 22nd overall pick. Ellis would play three seasons in the NBA, one each with the Los Angeles Clippers (1992), Charlotte Hornets (1994) and Miami Heat (1996). In his top season, with Charlotte he played 50 games and averaged 4.4 ppg. Ellis would also play international basketball in Spain (1992-1995), Japan (1998-1999) and China (2001-2002).